A handful of months after firing Steve Alford UCLA has finally announced a new head coach to lead their storied program into a new era of college basketball. Mick Cronin was hired April the ninth, exactly one hundred days after the UCLA athletic department parted ways with former head coach Steve Alford representing the end of a notably hectic coaching search. Alford, a native of Indiana who had been coaching at New Mexico when first offered the UCLA job in 2013, accrued a solid 123-63 record at UCLA as well as a conference tournament championship in 2014 and three sweet sixteen births. This is not to say that the Alford era in Los Angeles was wholly met with fruitful on court results, the three years Alford was not coaching in the Sweet Sixteen his squad failed to achieve a bid to the big dance with the exception of the 2017-18 season when his mediocre Bruins lost their ‘first four in’ game. Quite simply Alford was fired because he failed to live up to the expectations UCLA fans and alum have set for their program. Westwood has been vying for results on a national level in hopes of elevating their once dominant program back into the blue blood conversation. UCLA has not won a national title in twenty four years, 1995 representing the last time they won a title under a coach not named John Wooden (who won ten national championships in the sixties and seventies). This high expectation from the Bruin faithful combined with the reality of the state of the UCLA basketball program creates a fairly toxic environment for striving coaches. In fact UCLA has not parted ways with a head coach on respectful terms since 1975, the end of John Wooden’s reign over College Basketball. Every coach since has been shooed away by the administration and the fanbase for a plethora of reasons, but usually for underachieving. It has become clear that those involved with the program have set an unrealistically high standard for coaches, maintaining a consistent tradition of winning in College Basketball is one of the most difficult things to achieve in sports with only a handful of programs proving they have the ability to do so over several decades. And even the blue bloods that do have a deeply ingrained tradition of winning don’t win at extraordinary levels yearly, it’s almost impossible to be in contention for a final four year in and year out. 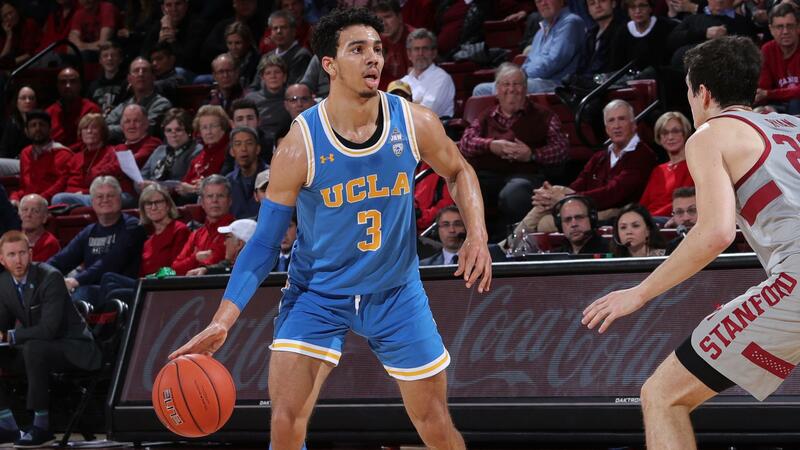 All that aside, UCLA has seldom been a realistic final four pick for about a decade and have displayed winning patterns that more closely resemble an above average middle of the pack mid major teams rather than the contenders they coin themselves to be. This dysmorphic self perception is best exemplified by UCLA’s most recent coaching search. Upon hearing news of the job opening basketball junkies across the country began assembling a mental list of prospective coaches ready to make the jump to the undeniably historically significant program. Names such as Tony Bennett, Jamie Dixon, Fred Hoiberg, and even Rick Pitino amongst others were floated around certain circles with the expectation that the well-off athletic department would be able to nab the right guy for the right price, few were able to foresee the extended and poorly managed search that ensued. For most involved Tony Bennett would have been the ideal hire but unlikely as his Virginia Cavaliers were in the midst of a historically strong set of seasons and eventually went on to become national champions, thereby completely eliminating any hopes of Bennett leaving for the UCLA job. UCLA also ended up offering the job to Jamie Dixon (TCU), Rick Barnes (Tennessee), and most brazenly John Calipari of Kentucky all of whom respectfully declined the offer. Jamie Dixon is in the middle of building something special at his alma mater while Rick Barnes led the Vols to possibly the strongest season in the history of Tennessee basketball, although I believe that both of those coaches would accept the head coaching spot at Kansas or North Carolina if offered; the UCLA job just isn’t as attractive as it could be and coaches know this. It is clear that Mick Cronin was at least UCLA’s fourth or fifth choice for the job which further illustrates the the steep separation between UCLA’s self perception and the way they are perceived by the national College Basketball community. This is not to say that Cronin was an awful hire for the Bruins, he was the head man at Cincinnati for thirteen years before taking the job in Westwood and steered the Bearcats to nine straight tournament appearances as well as back to back conference tournament championships in 2018 and 2019 all while boasting some of the crummiest facilities in high major basketball. It is clear that he is a winner and certainly not the worst possible scenario for UCLA but his hire certainly is not a home run. As the twitter page Bruins Nation puts it; “Cronin is an aggressively fine hire. He should do well because he’s a good coach and even bad coaches can reach multiple Sweet 16s here. It still doesn’t excuse the tire fire of a coaching search.” This seems to be the general sentiment coming out of UCLA circles and it may be true, but I don’t think it’s necessarily healthy. Mick Cronin is a great coach and can do certain things very well, but he has never been in an environment that demands immediate success. If the expectation of him is to develop over the course of several seasons a program that can compete in and out of conference at an impressive but not extraordinary level then Cronin is your guy, but unfortunately this is likely not the case. How he will deal with the assertive demands of the Bruin faithful will be interesting to gauge in the coming seasons but it is likely he will experience a fair share of skepticism. Ultimately the question at hand is whether or not Cronin will be able to break the vicious cycle of disappointment at UCLA and diminish the toxicity that emanates and is directed towards the head coaching position. And frankly I hope he does, there may never be another John Wooden again but College Basketball is just better when UCLA is good. The King is too Big for His Crown? Why Dallas Keuchel, and not Craig Kimbrel, is the Phillies’ Missing Piece.